There are countless things to see and do in London, with new events and activities popping up all the time, but if you’re a seasoned Londoner or frequent visitor, you might still be on the lookout for fresh experiences. In this guide, we’ve detailed four of London’s best kept secrets. Each one is an intriguing oddity and worth seeing for yourself. 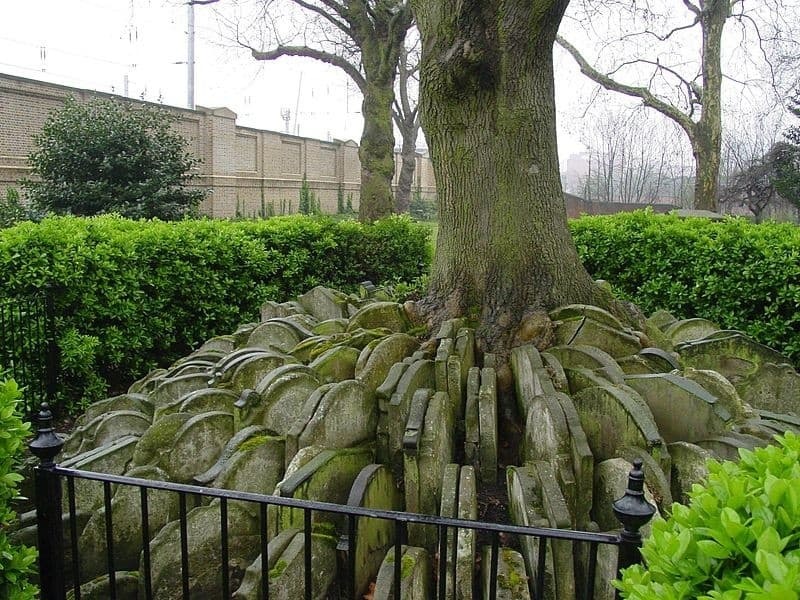 The ancient cemetery outside London St. Pancras Old Church is a peculiar place, primarily due to its large ash tree that is surrounded by hundreds of overlapping gravestones. What makes the sight even more intriguing is that the gravestones were actually placed there by classic novelist Thomas Hardy. How did this happen, you ask? In the mid-1860s, the rail system in Britain was experiencing rapid growth and London desperately required more space for new lines. The planned expansion directly affected the graveyard at St. Pancras, which meant existing graves needed to be moved in order to accommodate it. A firm of architects was contracted to manage the project of exhuming the remains and rebury them at a different site, and the unpleasant task happened to be assigned to young Thomas Hardy, who was a junior employee of the firm. When the task was completed, the firm were unsure what to do with the hundreds of remaining headstones, and Hardy had the idea of positioning them in a circular pattern around an ash tree where they wouldn’t be in the way. After making this bizarre decision and later returning to Dorset to pursue a career in writing, Hardy went on to publish many classic novels such as Tess of the D’Urbervilles and Far from the Madding Crowd. Britain’s Magic Circle was established in 1905 and was set up with the aim of keeping magic tricks secret. Though the headquarters in Euston is open only to members and their guests for regular visits, the public can browse its museum when public events are held. Inside is a curious collection of illusory paraphernalia sure to pique your interest and make you want to become a member yourself, but joining is no easy feat. To apply, junior magicians must undergo two years as an apprentice and be sponsored by at least two pre-existing members. 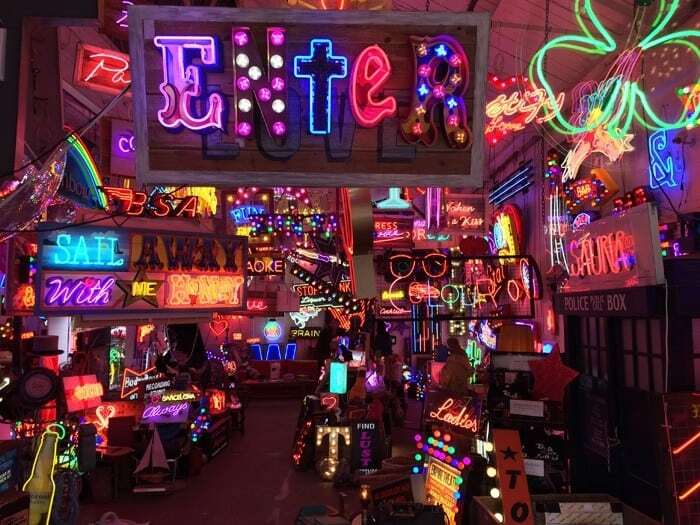 God’s Own Junkyard is a kaleidoscopic maze of neon lights hidden in the unassuming area of Walthamstow. Neon light artist Marcus Bracey curated the art, which includes thousands of signs, props and figures, all displayed within a single warehouse space. The space is a chaotic combination of bright colours, lights and subject matter, with signage relating to casinos, cocktails and karaoke as well as religious imagery. This is a free art gallery, a dealer and recycler of signage for businesses and a prop shop for film and photo shoots rolled into one. It’s open to the public on weekends and there’s a café serving snacks, coffee and alcoholic drinks. In Victorian England, ice was a rare commodity and to own it was a symbol of wealth and high status. Before artificial ice production became common, Italian-Swiss immigrant Carlo Gratti made his fortune by constructing ice wells behind King’s Cross station and supplying the commodity to rich clients across London. It seems crazy now, but Gatti was extremely successful. His two wells each had a depth of forty-two feet ad measured a diameter of thirty feet, which meant between them they could store many tonnes of natural ice. The wells were forgotten about for many years, but since the building has been developed into the London Canal Museum, they can be viewed from a special observation platform. If you’re looking for a bite to eat after exploring London’s hidden treasures, why not visit M Restaurant Victoria Street. With an extensive menu of steaks, seafood, gluten free options and more, there’s something for everyone to enjoy at this handily located restaurant near Victoria Station, London. Previous Post Is 18 Goals for 2018 too many? Next Post Sunday Scrapbook – New year, get your bum in gear!